My Travel Tip today is two-fold. A one-time fee for two days of free city travel. 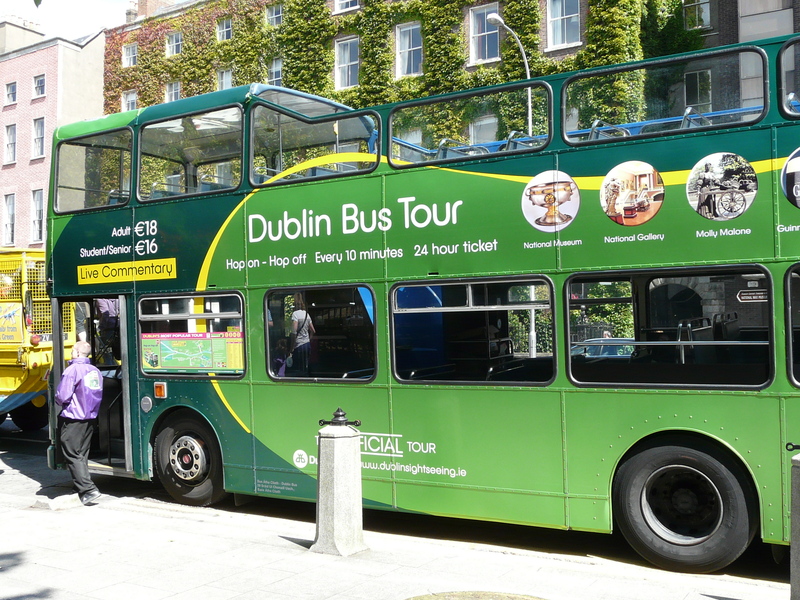 First of all, I am in Dublin right now and I cannot recommend highly enough the “Hop-On, Hop-Off” bus tour, as a concept. Not only is the live commentary an often-amusing way to learn the basics of your chosen city, but it will take you on a fixed circuit of the biggest tourist-magnet sites. Now, this sounds negative, but it really just means that it takes you to the places that have put effort into organizing their information for your enjoyment: places that will have guided tours, audio-visuals, tea rooms, and clean toilets… none of which is to be scoffed at. The other benefit to the Hop-On, Hop-Off bus however is that, once you pay the fare it gives you two days of unlimited travel in a circuit of the city. Not the most time-efficient line between points “A” & “B” necessarily, but a cost-efficient one certainly. You can use this as a free way to get to places to branch out and explore. And that brings me to my second tip: use the tourist bus as transportation by all means, but be sure that you go farther afield from the glossy tourist traps. There is nothing quite so exciting as finding some little place that no one has heard of that really speaks to you. Case in point from today: the “Little Museum of Dublin,” a hole-in-the-wall establishment that is filled only with memorabilia and every-day objects from the past century donated by Dubliners. 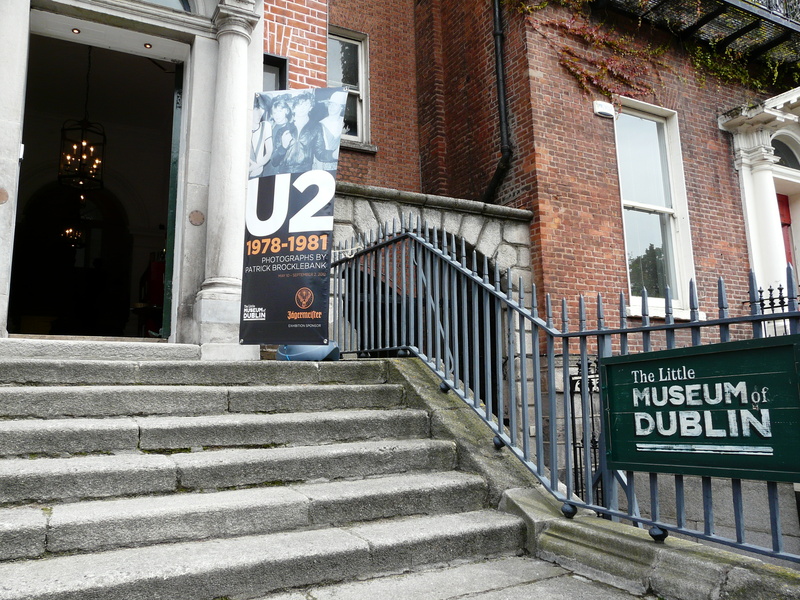 There were pictures of U2 when they were still zitty teens, an old cash register, the podium that Kennedy spoke from (which was really a music box, since they didn’t have a podium!) and a bottle of lemonade salvaged from the wreckage of the postal ship torpedoed by a German U-boat that my great-grandfather should have been on but, thankfully, wasn’t. And they even had clean toilets. So, go, use the bus, enjoy the glitz… but be sure to wander off on your own too. You never know what you might find!